Transform your appearance with the Fever Khloe Wig in Neon Red. 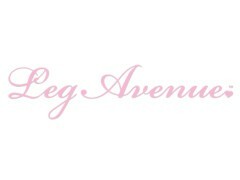 This long wave wig features a center parting and measures 66cm (nearly 26in) long. 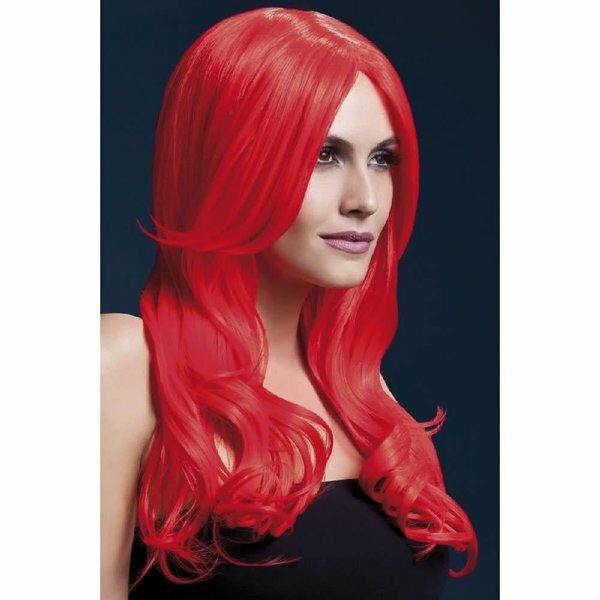 Transform your appearance with the Fever Khloe Wig in Neon Red. This long wave wig features a center parting and measures 66cm (nearly 26in) long. 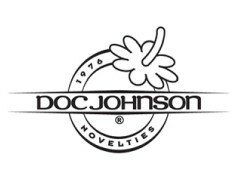 The wig is manufactured with a fully-adjustable, high-quality wig cap for breathability and a light feel. 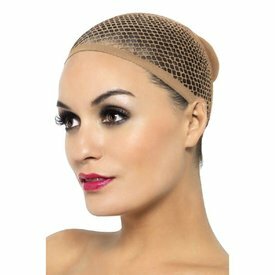 A fully-adjustable wig cap beneath fits snugly and securely over the scalp while a faux-skin crown/parting eliminates any trace of wig-wear. 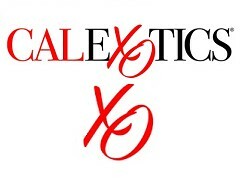 Style as desired using curling or flat iron-Khloe is heat-resistant up to 120 Celsius (248 degrees Fahrenheit). Hand wash.
Don’t forget your wig cap! 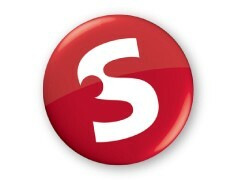 It's essential for keeping your hair tucked up underneath your wig. Transform your appearance with the Fever Nicole Wig in Black. This soft wave wig features a side parting and measures 66cm (nearly 26in) long. 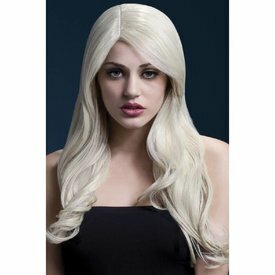 Transform your appearance with the Fever Nicole Wig in Blonde. This soft wave wig features a side parting and measures 66cm (nearly 26in) long. Transform your appearance with the Fever Mia Wig in Black. This short bob with fringe measures 25cm (nearly 10in) long. 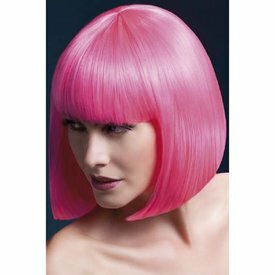 Transform your appearance with the Fever Elise Wig in Neon Pink. 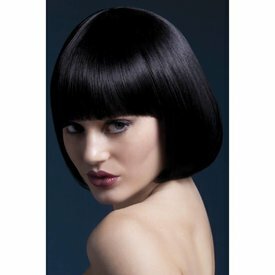 This sleek bob wig features a fringe and measures 33cm (nearly 13in) long. 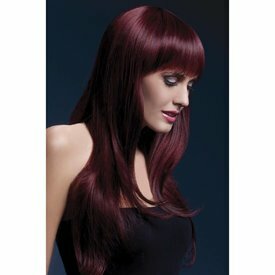 Transform your appearance with the Fever Sienna Wig in Black Cherry. This long feathered wig features a fringe and measures 66cm (nearly 26in) long.